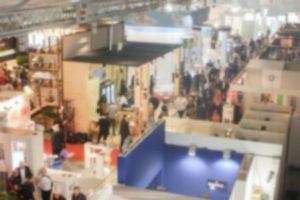 It happens to all of us – we aren’t even halfway through the next year’s event planning when “trade show dread” starts creeping up. Of course, there are always shows we love to attend, when we get to catch up with colleagues and friends from across the industry. There are other shows that may be cumbersome to plan but provide a sense of accomplishment once the show has wrapped. And then there are those we attend because we feel we must – perhaps we’ve “always done that show” or we’re afraid to miss a chance to be seen where decision makers and competitors will be. Then there’s the fiscal commitment. Trade events require significant budget dollars, not to mention the manpower, travel time, and logistics needed to effectively pull off a busy show season. Yet, how often do we take the time to review what gains we’ve made from our current lineup, research new avenues for engagement, and put trade dollars on future growth? We know trade events are essential to relationship building and dialogue. This year, LinkedSelling.com reported on a MarketingProfs and Content Marketing Institute study that cited in-person events as the highest-rated marketing tactic, with 75% effectiveness. So, how can we maximize growth opportunities, minimize unproductive events, and avoid that trade show dread? Who are the decision makers, colleagues, competitors, and associations we must engage with each year? What percentage of our budget represents new events, new markets, or competitive research? Where are we researching new opportunities to interact with influencers, and how are those events evaluated? When will we critique the benefit of events we’ve attended this year before committing again? How does our trade event calendar represent both immediate sales goals and future strategic initiatives? Why do we attend trade events in the first place? Set time aside to talk with all the stakeholders who impact your trade show schedule and evaluate your priorities, both short- and long-term. Chances are, there are opportunities to trade in unproductive events and trade up for better returns.